Back in February, I conducted an interview with a man who is the founder and president of Chico Blues Records. 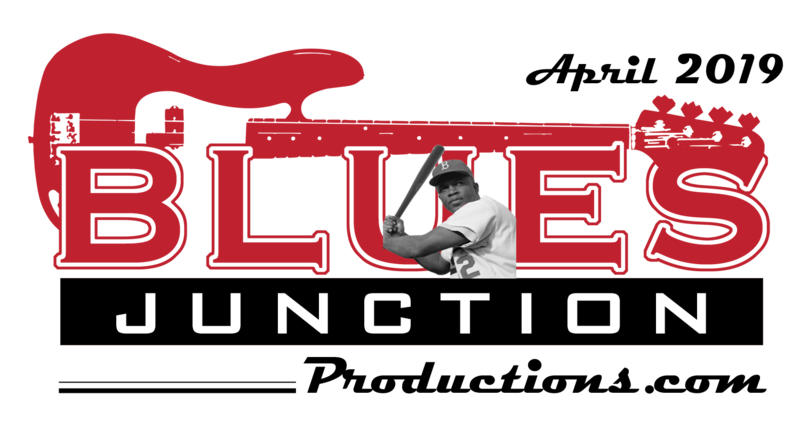 In that conversation, which appears in the March 2013, edition of our ezine, the man simply known as Chico Blues told me about an upcoming project he was working on. 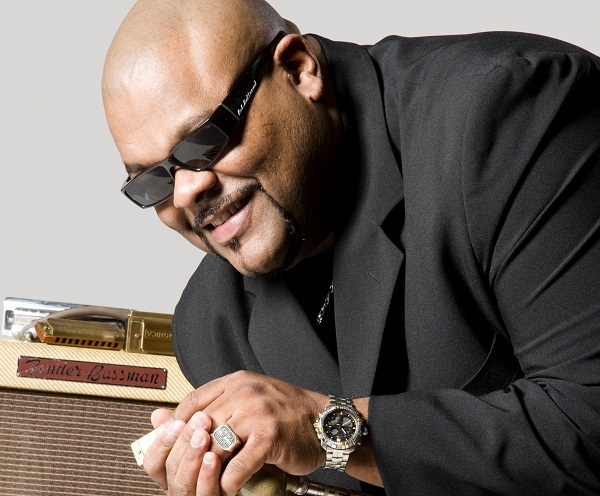 It was with a singer, guitarist and harmonica player known as Big Chico. The album we discussed was released this fall and I wasn’t disappointed. A track from the CD My New Blues even made it onto our jukebox. 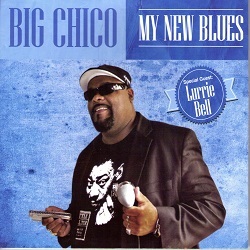 I thought it was time to visit with Big Chico to do an interview with this very talented blues musician. Enjoy a conversation between big Dave and Big Chico. David Mac (DM): Where are you from Chico? Big Chico (BC): I am from Cananéia. It is on the coast on the south side of Brazil. I grew in Jundiaí, a country town near São Paulo. DM: Let’s talk a bit about your upbringing in Jundiaí. BC: I had a fairly normal upbringing. I played and studied like any normal child, but always loved listening to music on the radio and the records of my older brothers. DM: How did you get started playing music? BC: I was about thirteen years old. I played tambourine in a samba band in school. I then moved to the harmonica. DM: Did you have any music teachers that helped you with your music as a young person? BC: Yes I did. I had three teachers of harmonica and now I study guitar with one of the best blues guitar players in Brazil, Marcos Ottaviano. My great mentor and friend for a very long time is the producer Chico Blues. He is the founder and owner of Chico Blues Records. DM: Let’s talk about your musical influences on harmonica. BC: I like very much Little Walter, Sonny Boy Williamson II, Big Walter Horton, James Cotton, Jr. Wells and George “Harmonica” Smith. Smith had many disciples like Rod Piazza, William Clarke and Mark Hummel. I listen to those guys too. I listen to Kim Wilson. I am influenced by the different saxophone styles as diverse as Charlie Parker and Maceo Parker. DM: You are also an excellent guitar player. Let’s talk about that. BC: On guitar I have been very much influenced by T- Bone Walker, of course, and B.B. King, Albert King, Freddie King, Otis Rush, Eddie Taylor, Muddy Waters, Little Milton, Lurrie Bell and again, jazz guys like Wes Montgomery and George Benson. I also have been influenced by my teacher who I mentioned earlier, Marcos Ottaviano. DM: When did you start playing professionally? BC: I started when I was in my very early twenties. That was back in 1992. DM: You have a brand new album out on Chico Blues Records. It is your fifth album titled appropriately enough, My New Blues. BC: This record shows a new phase of Big Chico as a singer, harmonica player, and guitar player. The CD had an excellent production with the great Brazilian producer Chico Blues. It has new arrangements with horns, piano and organ. DM: You also have a very special guest on this project. BC: Yes! I am very happy and proud to have the legendary Chicago blues guitar player, Mr. Lurrie Bell on my album. DM: How did you hook up with Lurrie? BC: I met his manager here in Brazil. We did a tour in July of 2012 with Lurrie. He played with my band. We really enjoyed playing together, so I had him play on a couple of tracks on the new album. He loved playing here in Brazil. For me it was very special because I love the sounds of Lurrie’s guitar. He, as I mentioned, is such a big influence on my playing. Lurrie in my opinion plays the blues with a unique feeling. He speaks a unique blues language. For me he is one of the best blues musicians in the world. Lurrie is a legend and as I am sure many of your readers know he is the son of the great harmonica player Carey Bell. DM: Let’s talk about the other musicians in your band. BC: My musicians are great. 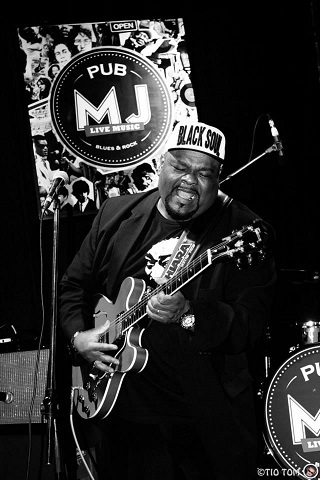 They represent the new generation of blues musicians in Brazil. We have Richard Leão on drums, Éder Dias on bass and the great guitar player Rodolfo Crepaldi on the guitar. I invited two other musicians to help round out the sound. They are acoustic bass player Marcos Klis, who sits in on three tracks and on piano and organ, André Youssef who plays on four tracks. We are also augmented by a fine three piece horn section of Lucas Joly on trumpet, Leandro on trombone and Edmar Pereira on saxophone. DM: You get a real fat sound that’s for sure. Let’s talk a bit about the Brazilian blues scene. BC: The Brazilian people love the blues, but we need more places to play. In Brazil they have some blues festivals now. The people just seem to really love it. BC: I want to continue to study the music more and more. I want to travel the world with my music and play it in as many different places as possible. Then work on the next record. DM: What would you like people to know about you? BC: I love God and I am very grateful to him for everything in my life. I love to play and love to make the people happy with my music. And I am very simple and happy when I’ll play my blues. DM: Chico, I am just very grateful to be able to hear your music. 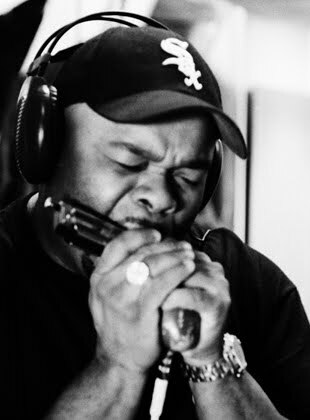 I should let our readers know that you can be reached at www.bigchico.com or on Facebook at Bigchico Gaita Blues. Your new CD is available at Bluebeat Music and through Chico Blues Records. Both links can be found on the links page of this site. With all the great blues music coming out of Brazil these days, I just might have to learn Portuguese. In the meantime, thanks for doing this in English. BC: Thank you Dave and God bless you.